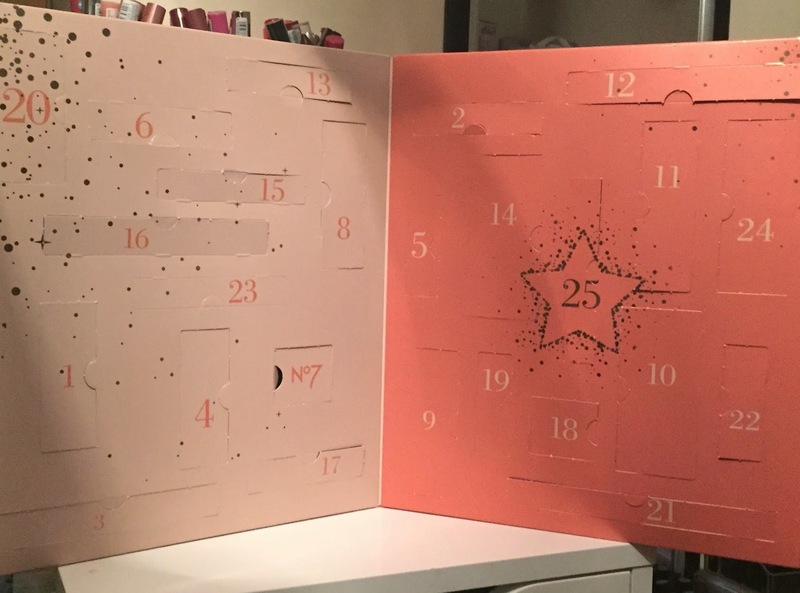 There is no way in this wide earthly planet that I would be able to refrain from opening an advent calendar until Advent and, at that, that I would be able to open one window a day. There is no point pretending, I just can't do it, the excitement and anticipation would just be too much to bear! So when my No 7 advent calendar arrived, I wasted no time in tearing that bad boy apart. I AM NOT SORRY. 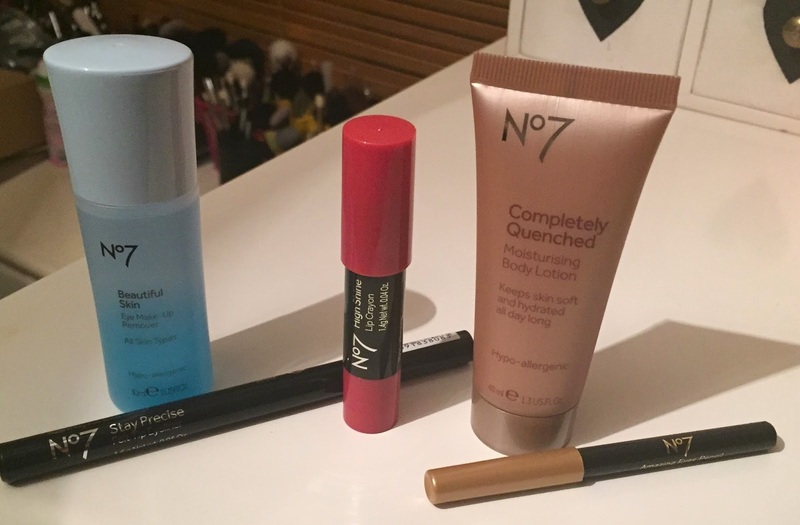 Retailing at €45, these are still available in Boots stores across ROI and the UK but when they are gone, they really will be gone so if you were planning on picking one of these bad boys up, I really would not delay any longer. I missed out on the Boots Advent Calendar last time around and I wasn't going to take any chances this year so I actually signed up to the email alerts and my calendar arrived on 31 October. 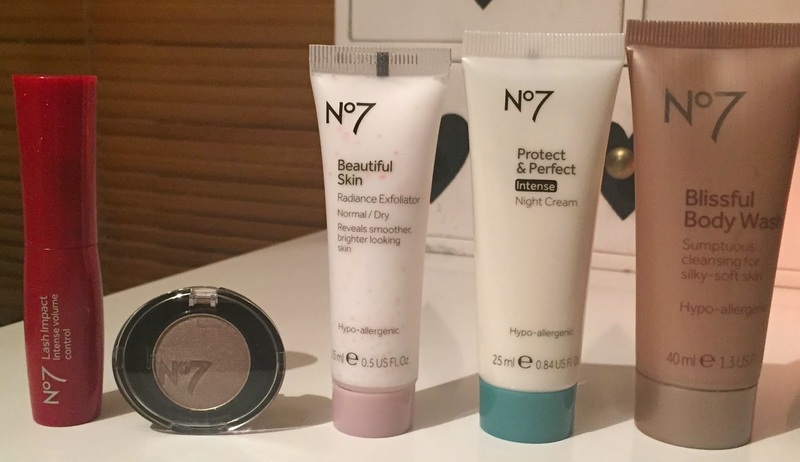 My feelings on No 7 were summarised in this post- for the most part, I find the products to be ok, if not a little overpriced without the voucher offers that they usually run. This calendar is priced at €45 but has a value of €170 which makes it quite the dealio really. I love advent calendars with lots of decent sized samples that allow you to get a feel for the products before committing to full size, so I will be looking for inspiration for further Boots No 7 voucher promotions in this lot! 1. Skin Illuminator in Peach - I'm not the biggest fan of cream highlighters but I am mighty relieved that this is not a pink or a gold cream because they might appear a little harsh. I've had a swatch of this already and I admit I am kind of liking it! 2. High Shine Lip Crayon in Delicate Pink - these little lip pencils are the handiest things in the world ever and this colour is perfectly non-offensive. 3. Eye Colour Brush - I'm not mad about this brush because it's stiff as a board but the stiffer the brush, the more pigmented the product applies, so this might be handy for all the glitter of the festive season. 4. Youthful Eye Serum - I'm always cribbing on Twitter about how I am feeling old so a tester of some Youthful Eye Serum will hit the spot nicely. 5. Stay Perfect Nail Colour in Highland Mist - I like the colour, this is a cute little travel size, no complaints here! 6. Lash Impact Mascara in Black - I think it was Karen Girlie Bits who first piqued my interest about this mascara and of all the products to be given samples of, I think mascara is essential, VERY much looking forward to trying this out! 7. Single Eyeshadow (middle shade from the Good Earth trio)- again, I need another neutral eyeshadow like I need a hole in the head but I like what I like and I happen to like this. 8. Beautiful Skin Radiance Exfoliator - I'm a long time user of this product so the little sample size will be handy andy to take away with me on ALL those exotic weekend citybreaks that I go on (I wish). 9. Protect and Perfect Intense Night Cream - I've yet to try anything from the Protect & Perfect line so this is a most welcome adoption. 10. Blissful Body Wash - Something else I have never tried and this will probably be added to the "hand luggage appropriate" pile but shur aren't body washes always handy to have on the go? 11. Beautiful Skin Eye Makeup Remover - another tried and tested product, I got on fine with this and it didn't cause me any irritation so this will all be used up. 12. Stay Precise Felt Tip Eyeliner - now this I will probably love or loathe. I usually loathe these felt tip eyeliner situations but what better way to try than as part of an advent calendar. 13. 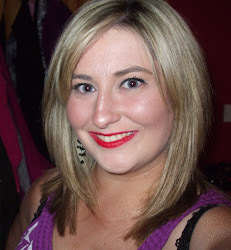 High Shine Lip Crayon in Daydreamer - again, a rather inoffensive lip product and I rather like the shade. 14. Completely Quenched Moisturising Body Lotion - I am a terrible body moisturiserer so I will have to make a special effort to get around to using this one. 15. 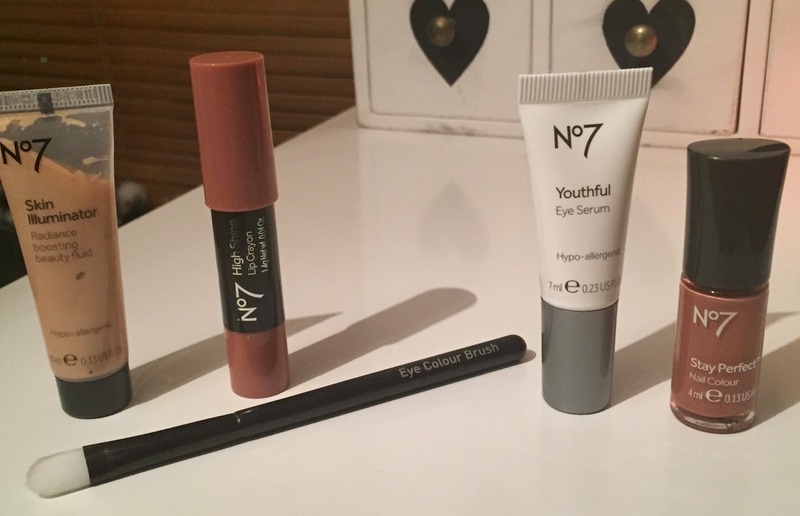 Amazing Eyes Pencil in Brown - always handy to have and the dinky size of this makes it so CUTE. 16. Lip Brush - I'm not really a lip brush kinda gal but if I ever turn into one, I will have a lip brush to hand. 17. Intense Volume Mascara in Black- again, I wish all advent calendars would contain sample sizes of mascaras so this is much appreciated! 18. Single Eyeshadow (top shade from the Cappuccino trio)- love neutral eyeshadows, we'll get on grand. 19. Nail Effects in Disco Ball - I'm usually not much of a glitter person but looking forward to embracing some nail sparklage around the Christmas season. 20. Protect and Perfect Intense Hand Cream - again, this will be a nice accompaniment to the other products from this range in the calendar and because I work with paper all day long, my hands are zapped of moisture and need all the help they can get. 21. 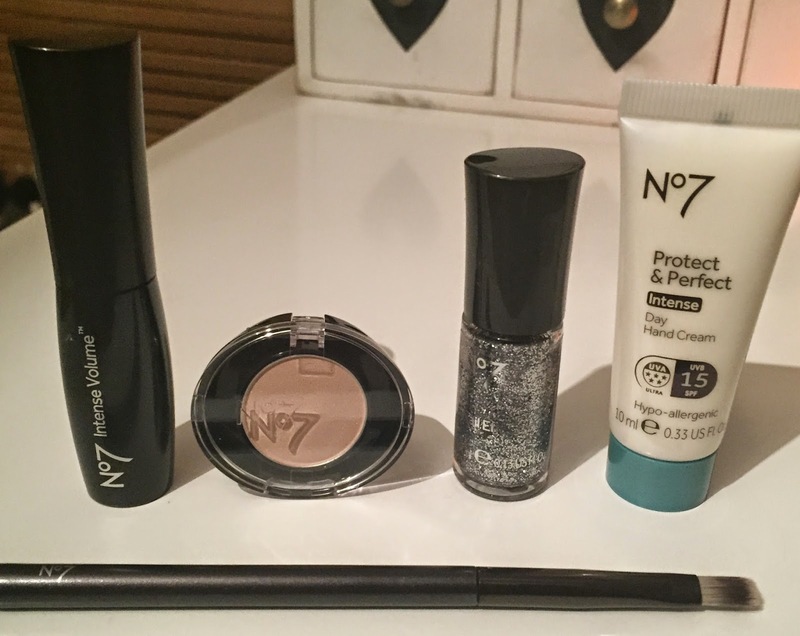 Stay Perfect Metallic Eyes Pencil - a lovely little eye pencil on one side and a smudging gizmo on the other. 22. Gel Look Shine Nail Colour in Deep Wine - LOVE this colour, especially for the winter season! 23. Amazing Eyes Pencil in Black - another black eyeliner but always handy to have and if the staying power of this is impressive, this could be a new HG. 24. Protect and Perfect Day Cream - day cream to accompany the night and hand creams? Nice! 25. Stay Perfect Duo Nail Colour in Hot to Trot and Cheeky Chops - I'm not sure how I feel about these duo nail polishes because they look like they might be a bit awks to apply but time will tell. So, as you can see from the pictures above, there is a great cross section of products from cosmetics, nail care, skincare and even some bodycare items thrown in, definitely something to please everyone. I also notice that all of the colours provided have been very tasteful and presumably, appeal to the masses. Best of all, No 7, unlike Benefit, have not included any tacky, plastic, crappy jewellery or accessories in their calendar as cheap fillers. I happen to think this is great value at €45 and I do highly recommend this either for yourselves or as a Christmas gift. 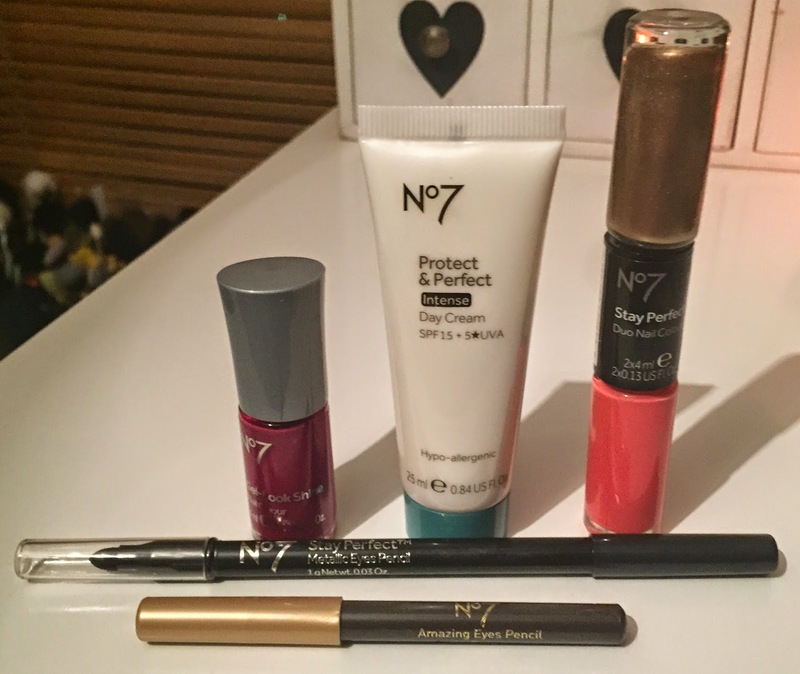 What do you think of this No 7 Advent offering? Does it appear to be worth the money to you? oh oh oh I was debating whether to buy one of these or not...now I definitely want it, thank you!